Del Taco Free Product Coupons Giveaway! Fine Print: I was not compensated for this post. I am giving away coupons that I received from Del Taco. All opinions and statements below are my own. Orange Shake – a thick, creamy orange and vanilla milk shake topped with whipped cream. To get everyone excited about the Throwback Classics, I am giving one lucky winner five free product coupons! Free Classic Taco, Free Double Del Cheeseburger, Free Small Fries, Free 1/2 lb. Bean & Cheese Burrito and Free Premium Shake (this one is with purchase). To enter this giveaway, complete any or all of the options listed below. Giveaway ends 7/17. Good luck! The Taco Salad sounds good. cool never tried Del Taco before and i looked and i have one in my area! 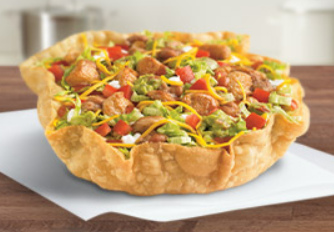 I would love to try the Small Taco Salad. The orange shake sounds really good. I would like to try the Small Taco Salad.